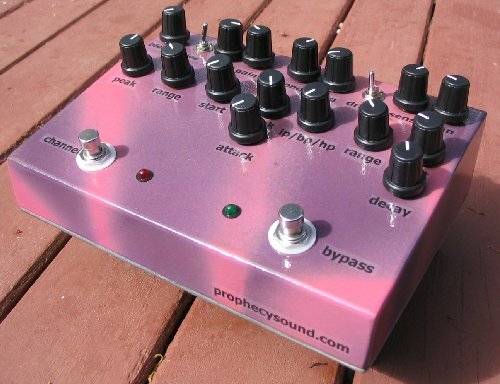 A dual-channel Prophecysound Rubber Fetish envelope filter. 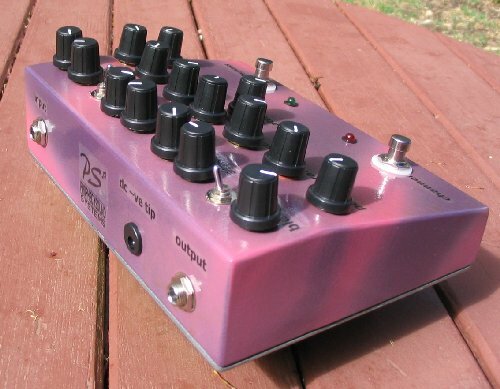 Two footswitches - bypass and channel select. LEDs indicate which channel is selected and turn off when effect is bypassed.